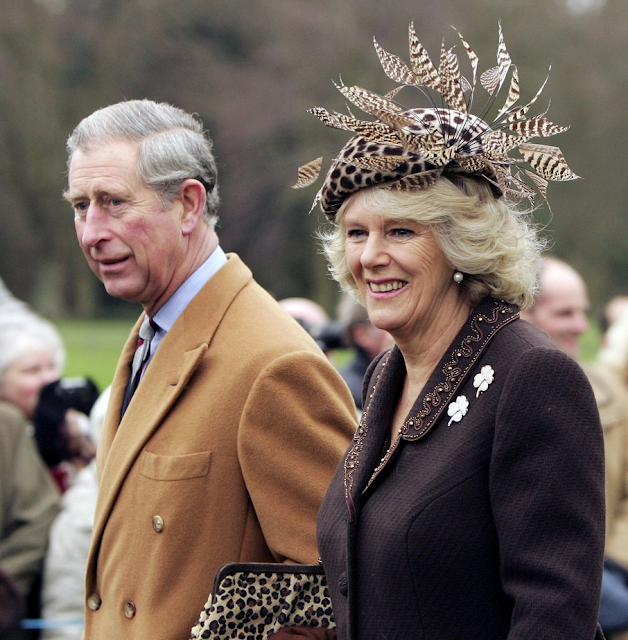 the adventures of tartanscot™: "Royal Family Ties - Camilla . . . "
One of the most evocative lines from my favourite novel "Brideshead Revisited" has some bearing on our ongoing conversation about the British Royal Family. The novel deals with the implications of friendship, sexuality, and family relationships between Charles Ryder, Sebastian Flyte, and Sebastian's sister Julia. Late is the story - almost halfway through the novel, Charles opens a chapter with - "It is now time to speak of Julia, who until now has played an intermittent and somewhat enigmatic part in Sebastian's drama." And from that point forward - Julia becomes one of the most important characters in the story. Soooooo . . .
"It is now time to speak of Camilla . 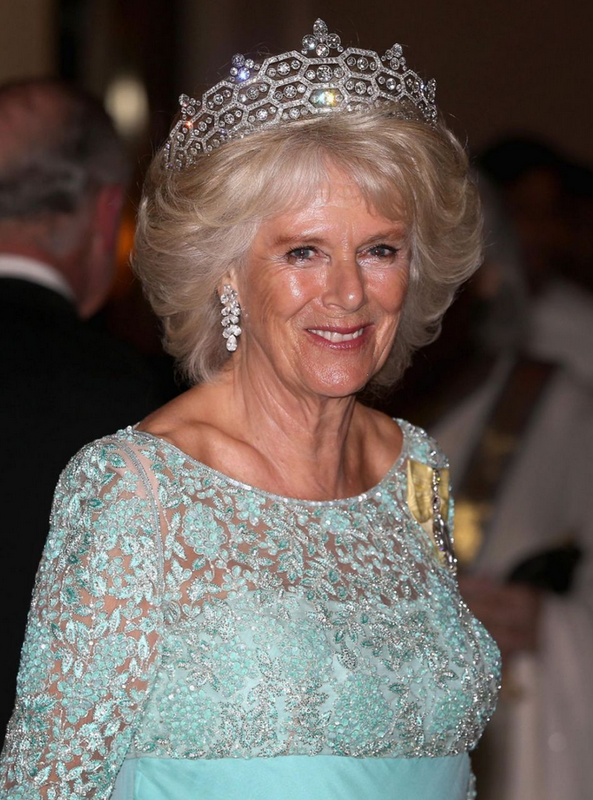 . . "
In far too many ways, Camilla is the third-rail of the Royal Family. Practically everyone has a deeply rooted opinion of her and her place within the family. But, as usual, I'd like to push most of the 'passionate dislike or admiration' aside and deal with some fairly concrete facts about her. 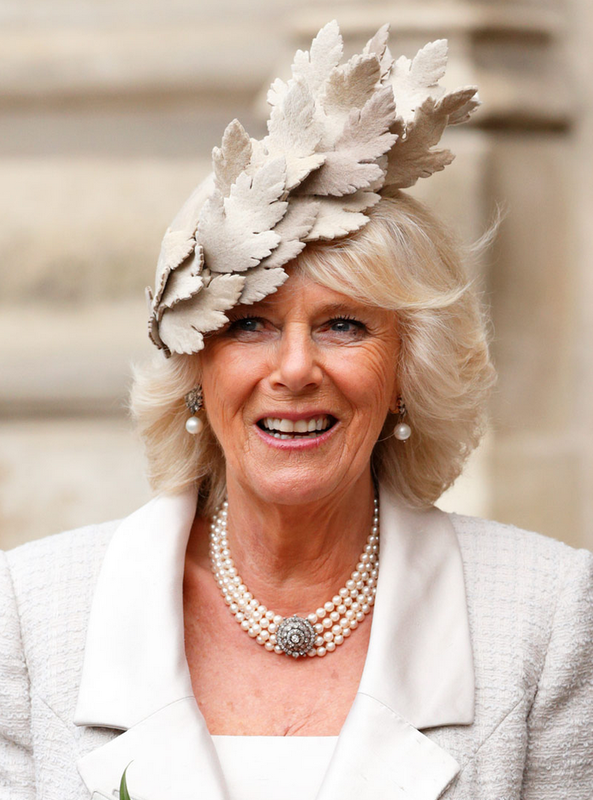 Camilla has been a long-standing player in the story of the Royal Family - but, as of a dozen years ago, her place in the monarchy's future is fairly certain. 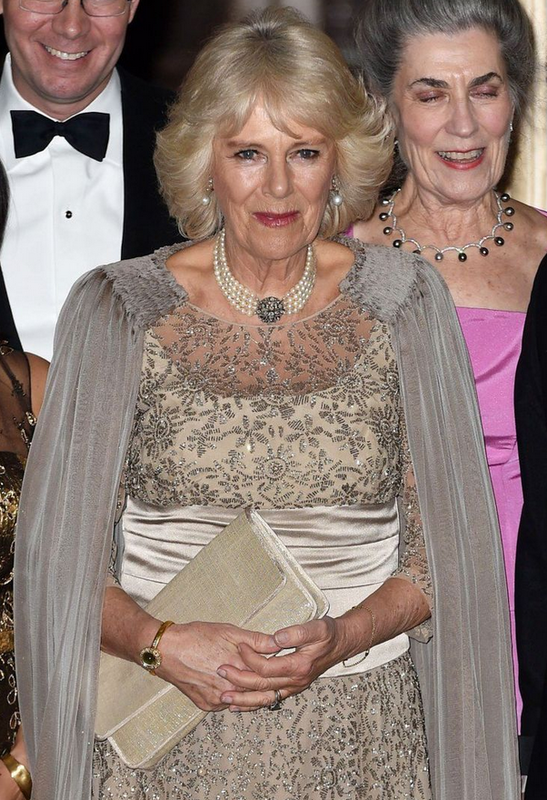 At present, she is the Duchess of Cornwall. It is the female version of her husband's Duke of Cornwall title. She is the Duchess of Rothesay (as Charles is the Duke of Rothesay). She's also the current Princess of Wales. It's not a title that she uses - and instead uses Duchess of Cornwall (a lesser title) out of respect for William and Harry's mother - and the deep connection to that title. She's also quite likely to be Queen Camilla when Charles' reign as King begins. Now - when she and Charles married over a decade ago, it was announced from Clarence House that "it is intended" that she be known as "Princess Consort" during Charles' reign - but, there are a few problems with this title. The main one is - within the royal household titles, it doesn't exist. Traditionally, the wife of every reigning King (King Regnant) is referred to as Queen (Queen Consort). Elizabeth's parents, while they were on the throne were King and Queen (he regnant, she consort). Parliament could certainly create a "princess consort" position for her - but, they've made no motion towards that in the last 12 years. My own belief is that they were hedging their bets - using "it is intended" to help the population slowly adapt to her being a true member of the Royal Family. Since the days of their marriage, she has been elevated by HM The Queen to a member of her Privy Council (a seriously BIG honour) and has traveled alongside Queen Elizabeth of many occasions. Camilla has also been one of the hardest working members of the Royal Family. She travels internationally with Prince Charles as well as throughout the UK. I guess, time will tell what her future will be . . .
and seriously, if you start getting foul or disrespectful in th comments, you will be blocked. Seriously. Thanks for sharing! I don't think Camilla gets the respect she deserves. Thank you for bringing me back to my halcyon days of watching Brideshead Revisited. In the early eighties I was in my early twenties. The series was shown on PBS on Sunday nights. I watched it religiously in my small bedroom in an apartment I shared with two other women who I'd imagine would rather be watching Happy Days ( hey, who doesn't love Richie). After each episode W F Buckely. Jr. along with a guest would discuss that evenings episode. The program that followed BR, was Leonard Bernstein and the NY Philharmonic.. Was TV ever better? My obsession with BH continued into my thirties when the paperback came along with me on our honeymoon to St. Barths.. It warmed my heart to see Anthony Andrews - "Sebastian" in The King's Speech..I thought he was lost forever. a beautifully written piece about the other half of a lovely couple whom most assuredly have paid their dues for happiness now. thank you for this whole series. it's been wonderful! I really did wonder how you would tackle "her," and I laughed to see your end warning. I believe FIRMLY in "be kind or be quiet." So I will only say that--although I do NOT like or respect the woman--you DID manage to soften my negative view on her a TINY BIT. I'm thoroughly enjoying this series on the royals. Thank you for sharing. Early days I felt so bad for the young princes and for Diana and her misery but after time has passed, and these people really don't mean that much to me .. I am glad to see adults who have been through a lot of drama and have lasted and still together and happy ... or so they seem . They are sort of the past now- those beautiful young men, of Diana's and Charles, are the Future .. that is what is important now. Nice post. Ahhh Brideshead was wonderful and I even enjoyed the "new" one with Mathew Goode. All I have ever felt about the entire Charles,Diana, Camilla debacle was great sadness. One would think that the "suits" and The Queen would have learned lessons from controlling Princess Margaret's life... It would be lovely to see Charles continue paintng and gardening and pass the throne to Princess Anne!